Protection of the grass lane crossing the narrow limestone valley of Wetton Hills is at risk. The Trail Riders Fellowship has recently served a notice on the highway authority, Staffordshire County Council, claiming that the route is out of repair. Last year the Peak District National Park Authority decided that all recreational motorised vehicles should be banned from using the lane, in order to protect its beauty and tranquility. A traffic regulation order to achieve this must be made by 14th February next year (2020) but Staffordshire County Council wants the PDNPA to postpone making its order whilst repairs on the route are considered. 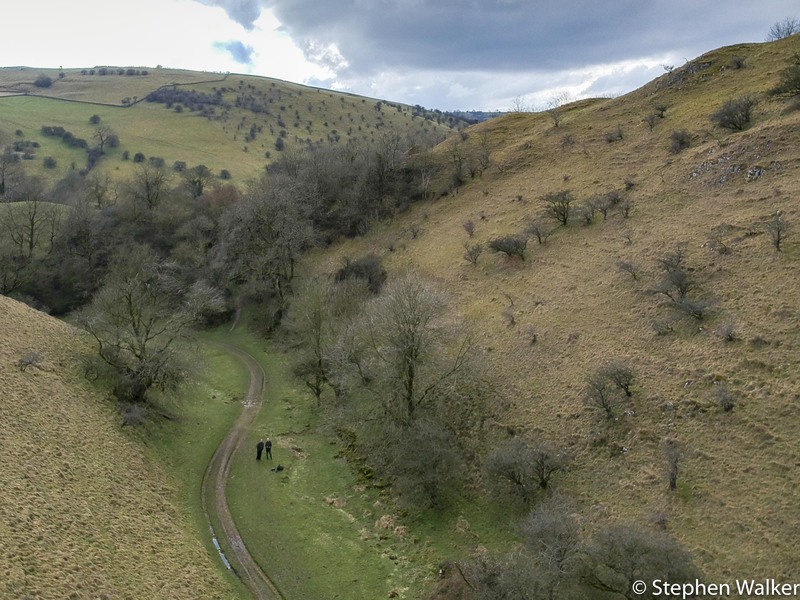 If the Council decides to undertake repairs and closes the route with a temporary order then the PDNPA’s order cannot be applied until the Council’s order is lifted. Getting repairs done within a year seems to be difficult for highway authorities – Chapelgate in Derbyshire is still closed for repairs to all users after four years and the Hollinsclough Rakes in Staffordshire are still closed after two years. We have no confidence that if repairs on Wetton are necessary they could be done in time for the Peak Park to make its order before next year’s deadline. If the Peak Park misses the deadline it has to start the process of a making an order from scratch – a costly and lengthy process. Instead the PDNPA should make its order now before repairs are considered. The Council can then make its own temporary order as the rule stopping the Peak Park does not apply to them. As one of very few true green lanes, Wetton need urgent protection from motorised traffic.